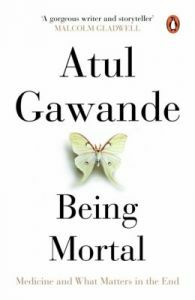 tul Gawande, MD, MPH, is a surgeon, writer, and public health researcher. He has written four New York Times bestsellers: Complications, Better, The Checklist Manifesto, and most recently, Being Mortal: Medicine and What Matters in the End. He is the winner of two National Magazine Awards, AcademyHealth’s Impact Award for highest research impact on healthcare, a MacArthur Fellowship, and the Lewis Thomas Award for writing about science.